You can put together and install your own wireless driveway alert system for half the cost of a "professional" security company model. The driveway alert will operate up to 100 feet from your home and can be tuned within 140 degrees across a 40-foot path. Extend the range of the "ding dong" part of the system to further rooms in the house (including a basement or a back deck) by adding more receivers. 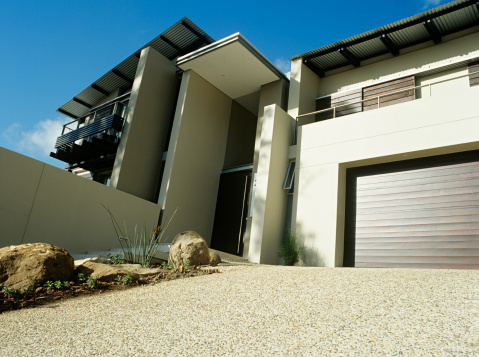 Secure your driveway and premises with a homemade detection system. Dig a post hole for a 4-by-4 green treated post near the foot of and to the side of the driveway. Dig the hole about 24 inches deep. Fill the bottom of the hole with a few handfuls of rough gravel. Set the post into the hole and square it up with a carpenter's level. Use wooden stakes to stake the post in this upright position: nail the stakes to the post using double-headed nails. Mix up a bag of concrete and pour it into the hole around the post. Tamp the wet concerete with a scrap piece of lumber to distribute it evenly around the post and compact it. Let it dry overnight. Remove the stakes. Trim the post down to about two or three feet high using the circular saw, and install an attractive plastic or metal post cap on top of the post. Install 4 AA long-life batteries in the motion-detecting transmitter head unit. Install this transmitter on the post, just below the post cap. The transmitter head should be pointed across the driveway entrance and slightly downward. Screw the transmitter head to the post as described in the product instructions. Plug the receiver unit to the system into a an electrical outlet in the room where you want to monitor the driveway activity. Ask an assistant, with a cell phone, go out to the driveway and assist you in tuning the transmitter, while you remain indoors near the receiver or vice versa. 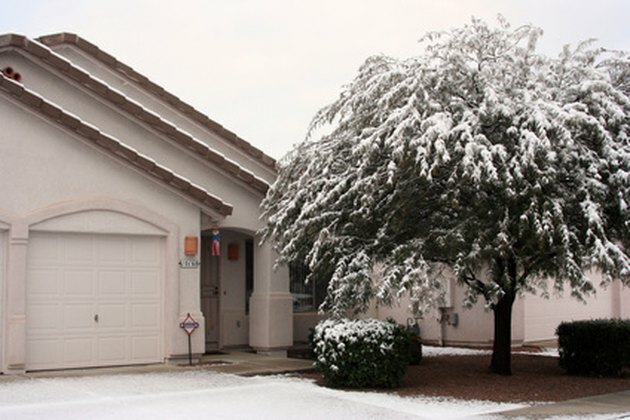 Adjust the motion-detector sensor so it only makes the receiver "chime" when a large object crosses the foot of the driveway—not when someone drives by or walks by in the street. Set the chime you want to hear. These units are capable of playing a variety of traditional chimes and tunes. 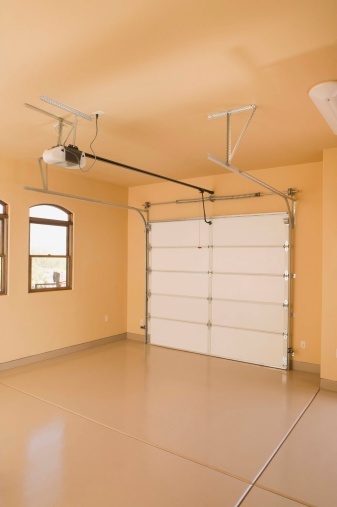 Test the system using a garage door remote control system and those of your neighbors. Tune the receiver to one of 32 potential codes so garage door openers in the vicinity will not set off the chime.